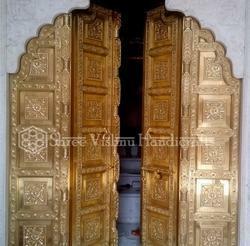 With our creative bent of mind, we have designed a wide range of Carved Door with Antique Design. A perfect amalgamation of traditional and artistic designs, our offered range finds application in residential and commercial establishments. We offer a wide range of elaborate Victorian style antique wooden doors. - Door frame: 90" X 54"
- Shutter: 81" X 44"
We offer a range of exquisitely designed Antique king door and columns that are sure to add to the dicor of any home. The spark of creativity was there since the beginning of civilization. The immortality of the handicrafts and arts of India maybe attributed to their ability to captivate the beholder. Our company hold proficiency in carving beautiful designs over our range of Antique Door.These doors are crafted using quality wood of various types.Enticing features of these doors are beautiful designs, resistance to pest, termites and moisture and ease of installation. 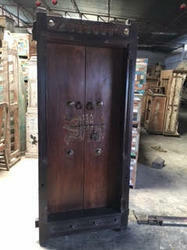 We are supplier of Antique Doors.